I’m a bit of an eBay-aholic. I love that you can have a good old hunt around to find things you wouldn’t normally find on the highstreet… And it’s cheap. I’m regularly searching along the lines of ‘blogger eBay must haves’, as I’ve found some amaaazing bargains that way! So, I thought I’d share some of my faves. Admittedly, I’ve had some horrors from eBay (cheap isn’t always best), but these are the bits I definitely think you’re worth buying. One of my favourites to browse for on eBay. There’s a whopping variety and prices are cheeeeap. I’ve had some decent makeup brush sets that have worked well as back ups… Y’know, when the favourites are needing a wash. I picked up the toothbrush looking foundation brush for a few pounds… I’m mainly intrigued by the novelty of it, so I wasn’t up for splurging on an expensive option. The Beauty Blenders I got for contouring, although I’m giving myself 3 weeks until I’ve lost both… They’re tiddly tiny! Another favourite eBay search – ‘slogan tshirts’… You can find such a good variety! 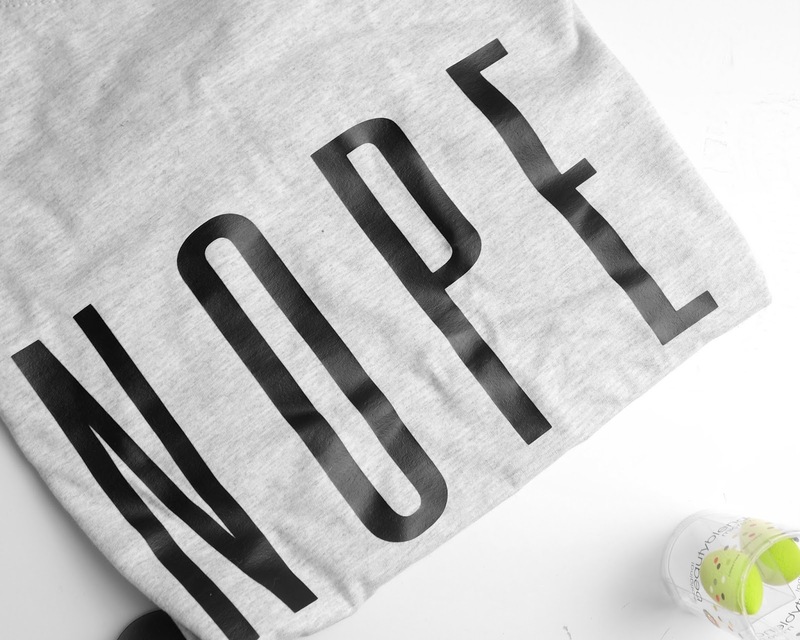 I bought this ‘Nope’ tee the other week which seemed appropriate as I guess I can be a bit of a misery. I’ve always got a few different prints on my watch list… I know I’ll end up buying some more when it comes to summer & I’m after tees to cut into crops! I get loads of bits to use in flat lays from eBay, mostly because it’s a quick & easy option. I can do a quick search, usually find what I’m looking for with minimal fuss and have it by the end of the week. Faux flowers are a good one to go for, as well as different backgrounds. I’ve just ordered the Marble Self Adhesive Film to use for pictures & maybe a DIY project when I move out. The White Wood option is another nice option for light, bright photos! Okay, I’m completely out of season, but I’ve had some pretty decent bikinis from eBay in my time. For my last holiday I think around 3 of the 8+ (one a day, plus extras… obviously!) I took away with me were eBay purchases, for under a tenner. I do think it’s the sort of thing that takes a bit more research though – there are some bikini sights out there. I’d say look for good imagery on the post – if it’s the same picture with different colours photoshopped in then it could be a bit iffy. Good ones for me have been crochet beach tops & basic bikini bottoms. And the one thing I’d always advise to not bother with? LEGGINGS. I’ve been there, I’ve thought ‘what the hell? !’ when they’re only £3 and I’ve bought them. No matter how many times that eBay seller claims they’re not see through, chances are your knicks are gonna be on show. Previous Post CO-ORDS… A TREND FOR 2016? I very rarely buy anything from eBay, but I need to change that ASAP! Such a useful post! 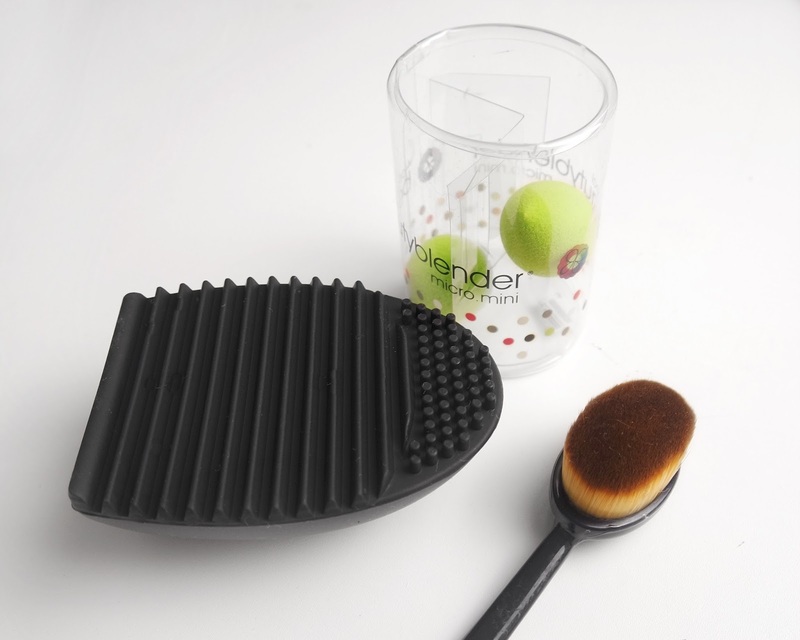 When you buy things like the beauty blenders (I've just got into them and am obsessed – I need the small ones!) Do you think they're the real deal/as good as? I have been lusting over one of those brushes for ages. Was wondering do you use it for foundation application and does it work well? Great Post. I've been apprehensive for years to buy anything from eBay…maybe I should finally give it a try! Love the slogan tops! Okay, I just spent the past 10 minutes searching ebay for swimwear, and I'm hooked! Definitely ordering some for this summer. Do you have any more tips on purchasing to avoiding getting duped lol? I never think of eBay when I'm on the hunt of or something but I think you've just changed my mind! Please make more of these posts! I love thiss! Great post – I have had lots of beauty items from Ebay! !